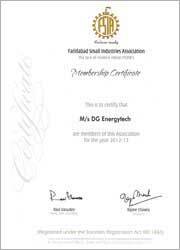 DG ENERGYTECH aims at manufacturing high quality products which meets the highest quality standards par excellence. Solar lightings are latest technology based lighting systems which work solely on solar energy. DG ENERGYTECH aims at giving cent percent customer satisfaction and meeting the most challenging quality standards with utmost efficiency. DG ENERGYTECH is a dedicated & popular brand name in the field of solar power solutions and energy efficient LED lighting systems. Effective Earthing in the Industry/residence protects Manpower, Money and Machines. DG ENERGYTECH presents whole range of state-of-art LED Lighting systems. These lighting systems are available for multiple purposes like indoor lightings, Street Lights, Industrial Lights, Domestic Lights, Office Lights, Farm Houses & Parks etc.